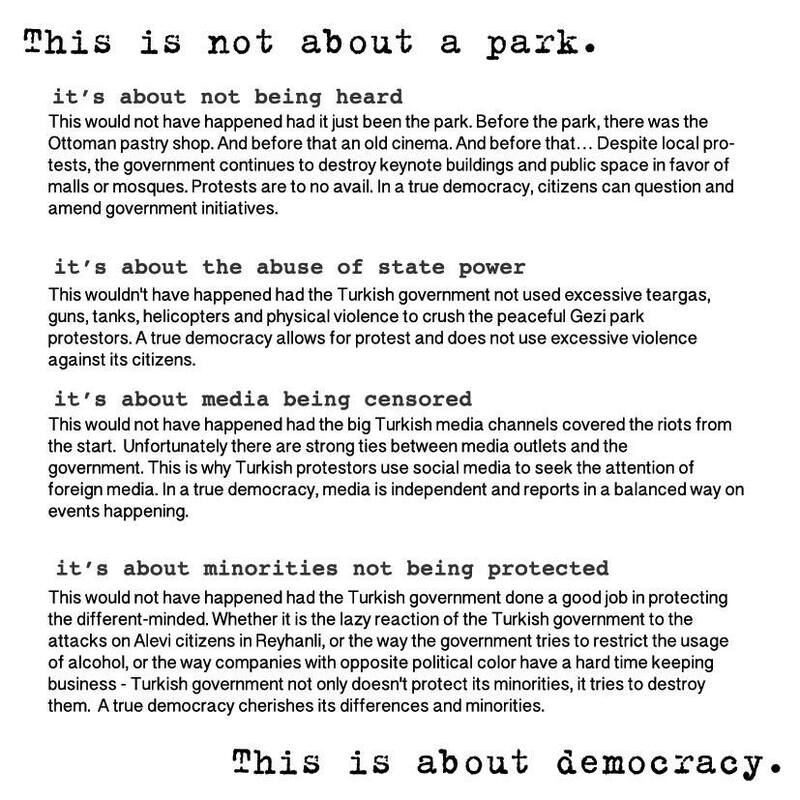 This is not about a park. This is about democracy. 2 Responses to "土耳其的鎮壓仍在持續 (一)"